Complete the look of your Fairfield Window Box with a pair of Decorative Brackets. Made from high-quality polyethylene, the curved brackets look just like real wood and are very easy to maintain with just a simple rinse of the garden hose. The brackets attach easily to the Fairfield wall mount supports and add a beautiful finishing touch. 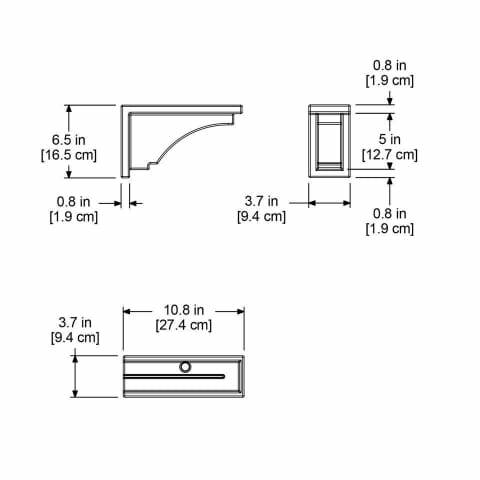 Each package includes two decorative brackets and four screws for easy installation.